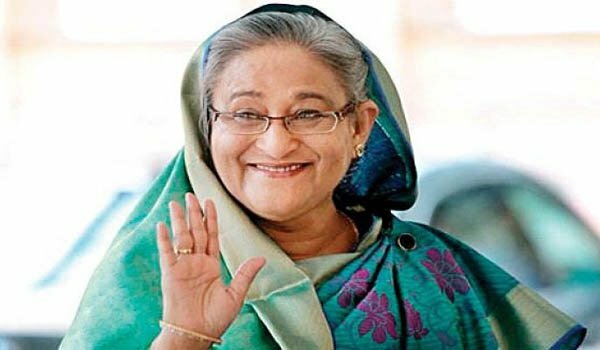 Dhaka: The people of Bangladesh have given their mandate to the ruling Awami League of Sheikh Hasina to form government for a record third straight term in an election marred by deadly violence and allegations of widespread rigging. An alliance dominated by Hasina's Awami League won on 287 of the 298 seats for which results have been declared for. A party needs 151 seats to form a government in Bangladesh.The two main opposition parties, the conservative Jatiya Party and the right-wing BNP, are reported to have won respectively 20 and six seats. Three-hundred seats were up for grabs in the 350-member Parliament, or Jatiya Sangshad, in Sunday's elections. Another 50 seats are reserved for women.According to the official results, Bangladesh's Prime Minister received 2,29,529 votes from the 2,46,514 in Gopalganj-3 seat. Helal Uddin Ahmed, Secretary of the Election Commission Secretariat congratulated the ruling party.Bangladesh's ruling party had surged ahead within hours of the counting of the votes - an outcome the Jatiya Oikya Front, the BNP-led opposition alliance had feared. In a hurriedly called news conference earlier on Sunday night, the leader of the Jatiya Oikya Front dubbed the election 'farcical'. "We reject the farcical election and want the election commission to hold a fresh election under a non-partisan administration," said Kamal Hossain, an 82-year-old jurist who wrote the country's secular constitution. More than 40 opposition candidates pulled out of the election after polls opened, citing vote-rigging and ballot-stuffing, according to the Daily Star.The election was hit by violence, were at least 17 people killed across the country in clashes between members of rival parties on Sunday.